During the past few decades, scholarship has minimized what most know to be true—that individuals can make a difference and that ideas matter. Meanwhile, the powers of abstract social and economic forces have been overemphasized and a presumption that government should perform societal functions has been fostered. In the process, many good things in North Carolina’s history—the creation of personal wealth, the benefits of private property, and the positive influence of religious and free market ideas, to name some examples—have been misunderstood. As a result, a vast resource of good ideas and exemplary personalities are forgotten, and possible solutions to current societal problems are overlooked. To compensate for such cultural losses and fill a void in historical scholarship, the John Locke Foundation started the North Carolina History Project. The History Project’s purpose is not only to encourage a wide variety of historical questions and provide a forum for the free exchange of ideas but also to emphasize overlooked or forgotten historical themes. Such themes include entrepreneurship, private sector problem solving, the importance of individuals and ideas, and the positive role of free markets. By providing free resources, the North Carolina History Project seeks to involve individuals and communities in the study of history. In particular, the History Project offers an evolving, comprehensive, and non-polemical encyclopedia of the Tar Heel state called northcarolinahistory.org. The site also contains a separate commentary section, where historians can offer explicit historical interpretations and engage in historical debate; an educator’s corner, where teachers can use lesson plans, primary sources, and worksheets; and a community calendar, where local historical museums, parks, and societies can post event announcements. But that is not all. The North Carolina History Project hosts a lecture series and a book club, in which leading historians from all historical perspectives, including Wilfred M. McClay and Gordon S. Wood, present their latest research. North Carolinians can also read the History Project’s innovative scholarship in various publications and participate in upcoming historical tours. The North Carolina History Project staff is also available to deliver various lectures to civic, education, and religious groups. NorthCarolinahistory.org is a product of the North Carolina History Project, a special project of the John Locke Foundation, a non-profit, non-partisan think tank in Raleigh, North Carolina. North Carolina History Project also provides a lecture series featuring some of the nation’s leading historians. On request, North Carolina History Project’s staff delivers lectures to civic, educational, and religious groups. The staff also writes for various academic journal and popular magazines and newspapers, including Carolina Journal, a monthly publication of the John Locke Foundation. 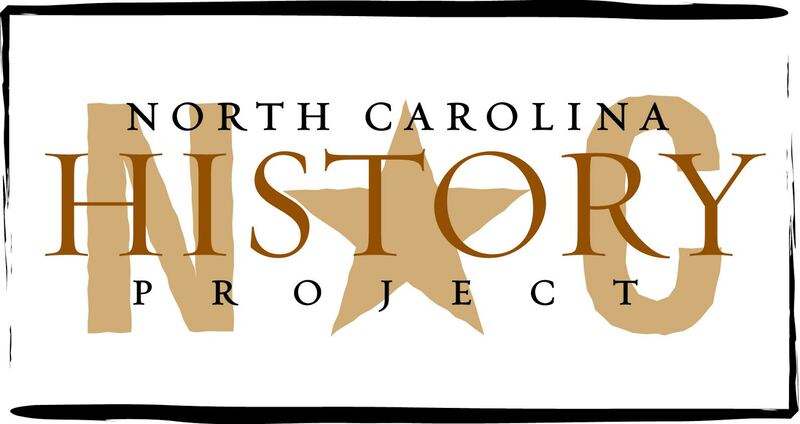 If you would like to learn more of the North Carolina History Project and its various programs, please contact us. Thank you for visiting northcarolinahistory.org. We hope you enjoy the site.